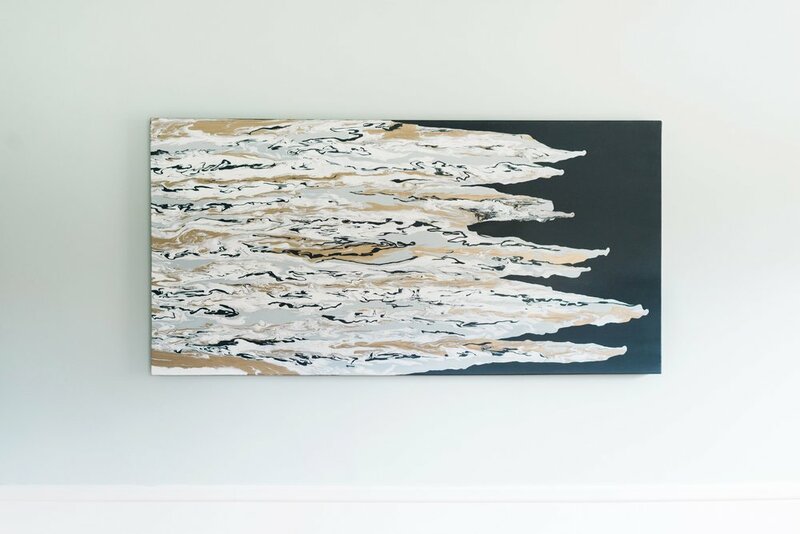 If you happen to be looking for a piece of art for your home that is as unique and beautiful as you are, I would be honored to work with you! We will set up time to get to know each other, discuss your vision, and color palette. Throughout the creative process I will send you updates and process photos. This collaborative process makes for a fun and enjoyable experience! Commissions take anywhere from 6-8 weeks to complete, depending on the scope of your vision. Ready to be my next client?! Fill out the form below so we can get started! “Last fall we commissioned Kaitlin to create an art piece for our dining room, which was in desperate need of a focal piece. As it has lived with us over the past five months, I have fallen more and more in love with it! 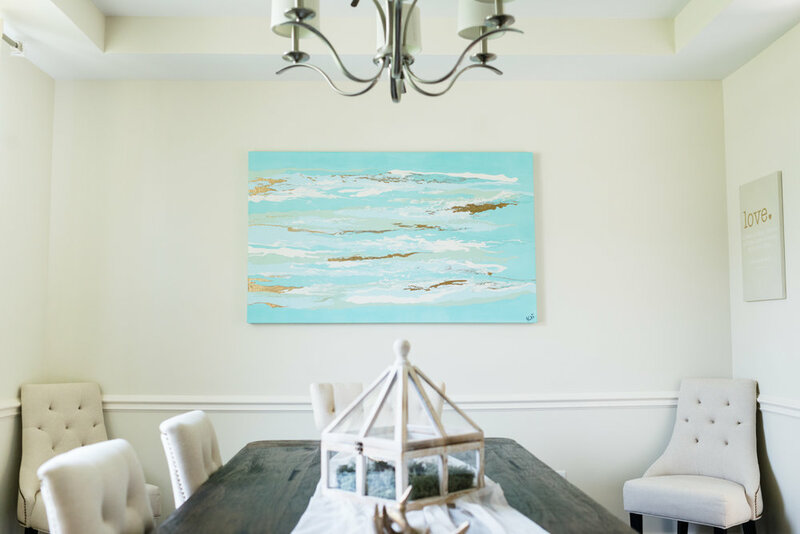 “Our dining room finally feels complete with Kaitlin's beautiful work. It is such an important room in our home - where we gather for meals and build community with friends. The organic flow of the paint mirrors the intermingling of stories and relationships built over time in this room. 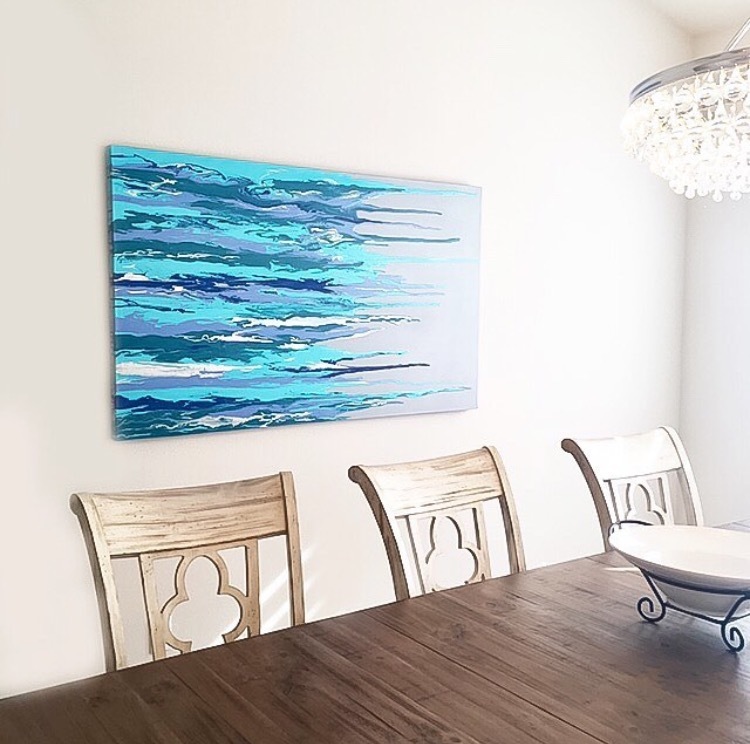 “As we moved into our new home in Florida, we wanted a piece of art that would bring the ocean into our daily lives. 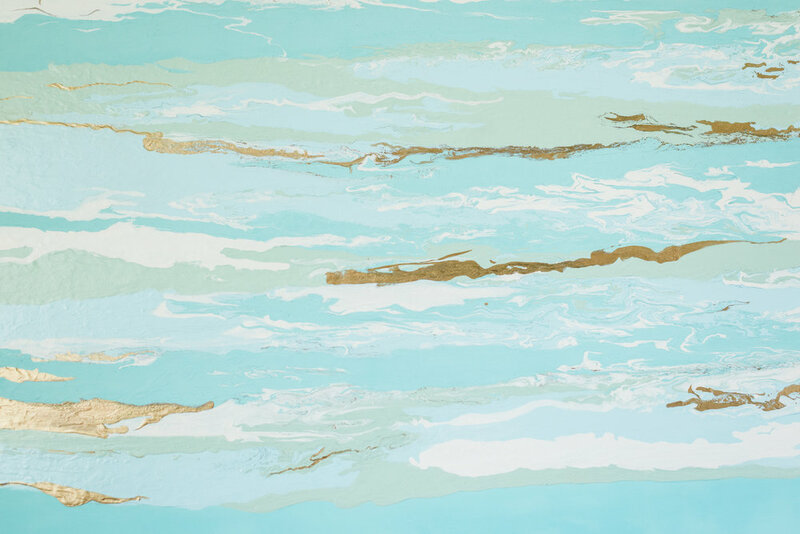 Kaitlin listened to our vision and was able to creatively balance our color palette with the ocean's flowing current.